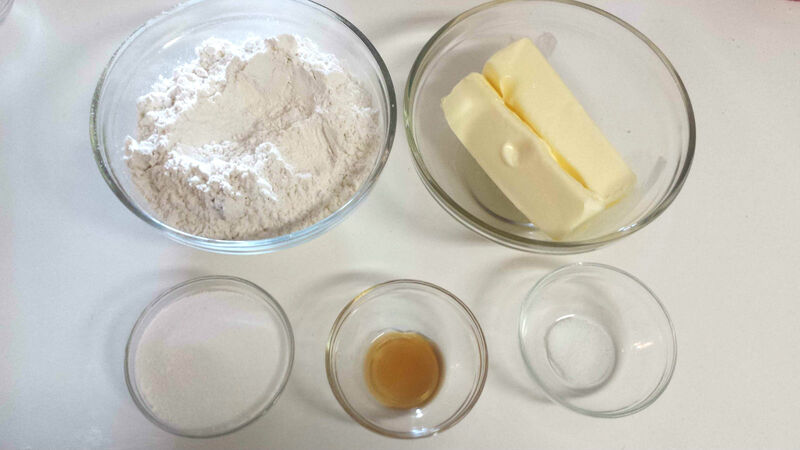 Five Ingredient Shortbread…with Six Ingredients? Every so often a basket of delicious cookies would magically appear at work. I didn’t know who made them at first, but I always helped myself. They were for sharing of course. Eventually I found out these delicious treats were shortbread cookies. YUM. Remember that cookbook this recipe came from? Well, it just so happen it also has a recipe for shortbread. Of course, I had to try it. The recipe placed emphasis on how simple the it was and I already had everything I needed on hand so I agreed with them. Seems simple enough right? So lets get to work. 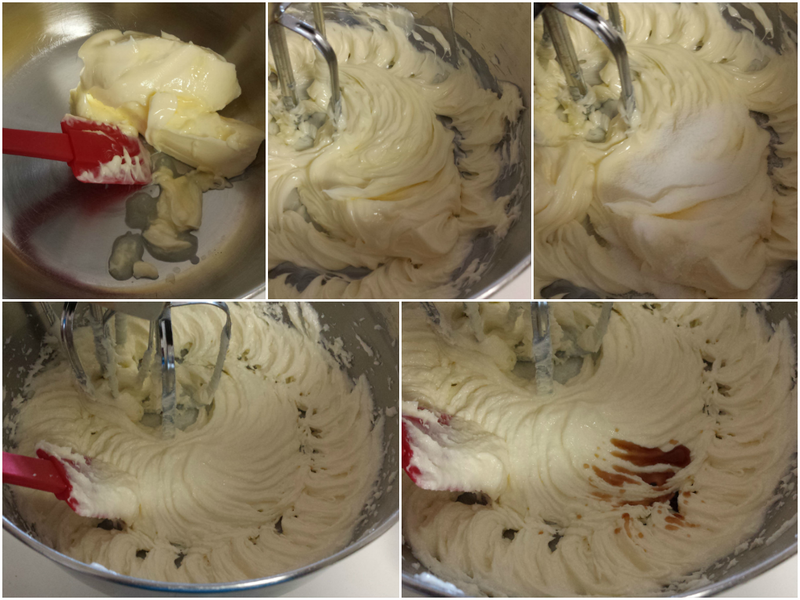 First you want to cream the butter at about medium speed. Then add your sugar and beat until it’s combined. Stir in your vanilla. …cardamon powder. I have some on hand in order to make my chai tea concentrate and thought this might taste good. Since I added this in at the last minute I broke the dough into pieces and sprinkles 2-3 healthy pinches and kneaded it all together. I was careful not to put too much. I didn’t want it to overpower because it was shortbread first. Now back to the recipe. 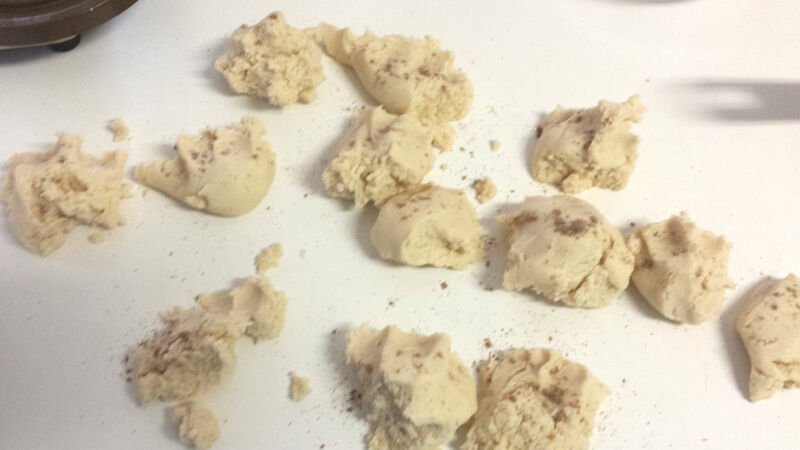 Once you have the dough kneaded well into a nice ball, roll it out to about 1/2 inch thick. 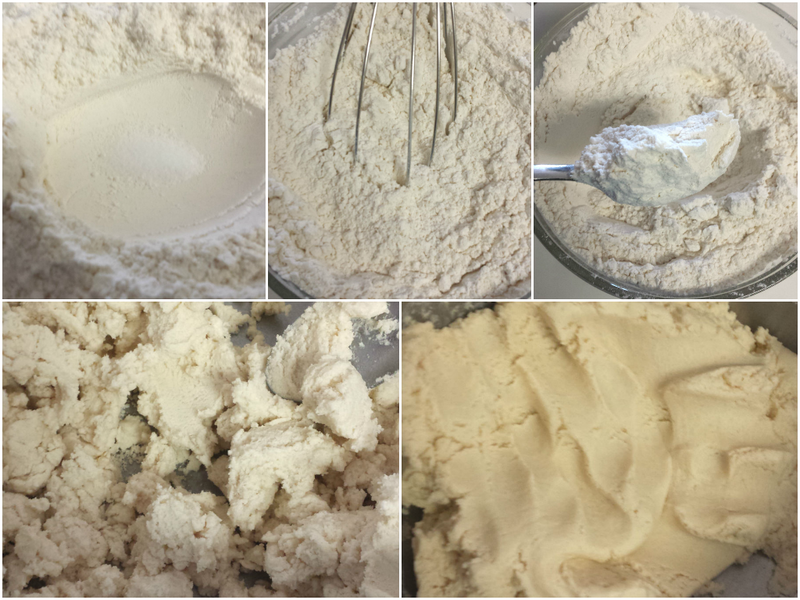 It’s easier with a rolling pin, but it’s not necessary. I used a 3 inch cookie cutter to cut out my cookie shapes. 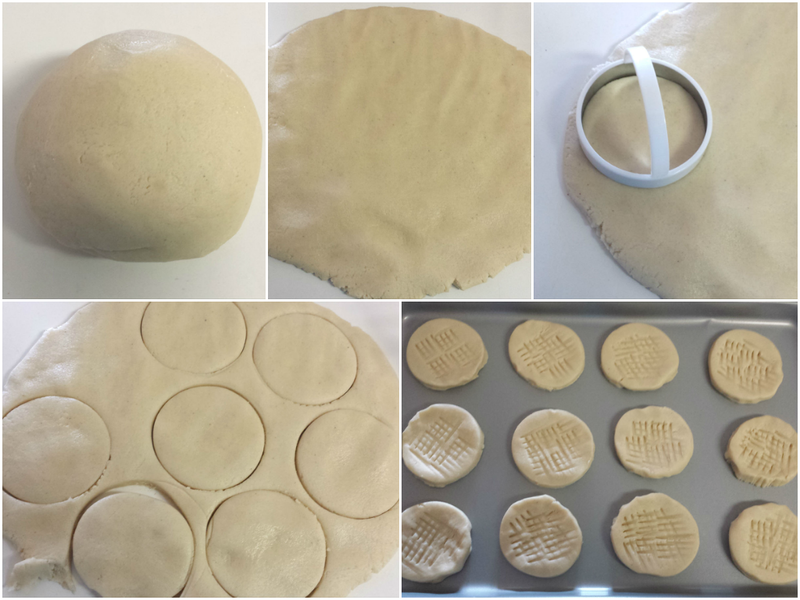 Once you cut out all you can and place them on a lightly floured cookie sheet, roll up the remaining dough and repeat the process until you don’t have any dough left. About 12 cookies. Try to space them about 2 inches apart. 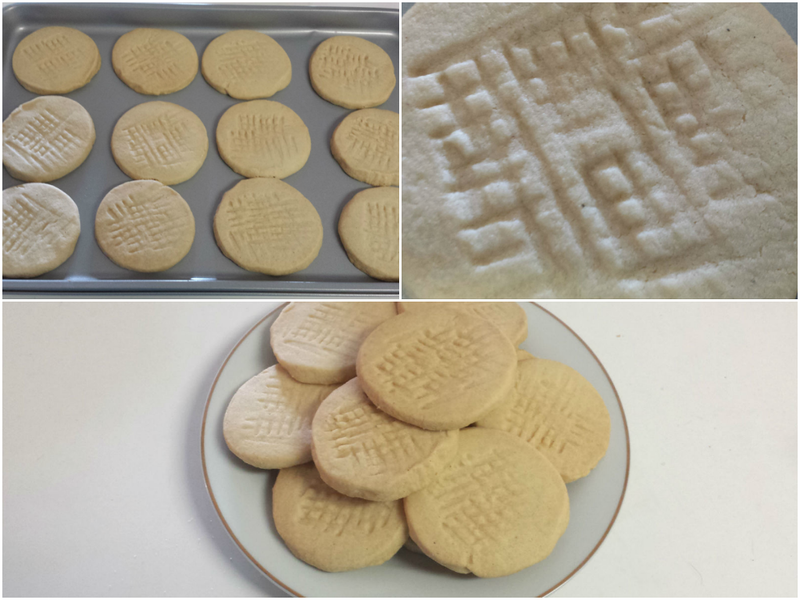 Gently press a fork in a criss cross pattern across the top for the trademark shortbread look. Bake in an oven preheated to 275 degrees for 45 minutes. Let them cool completely. Really. Move them too early and they may crumble. Trust me, I know. After that it’s a free for all! The cardamon flavor is there but is light. It’s enough for someone to notice something extra good but not quite be able to place it. I’m already thinking of other flavors to add. With such a simple recipe it’s hard to leave it alone. Thanks so much for reading! Please tag me on Twitter and Instagram @EmeraldLilyCS with pictures of your cookies and your not so secret ingredient. lol Also, like my Facebook page for updates and subscribe to my YouTube channel for bi-weekly videos @Emerald Lily Craft Studio. I also sell handbags and wreaths on Etsy! Until next time! 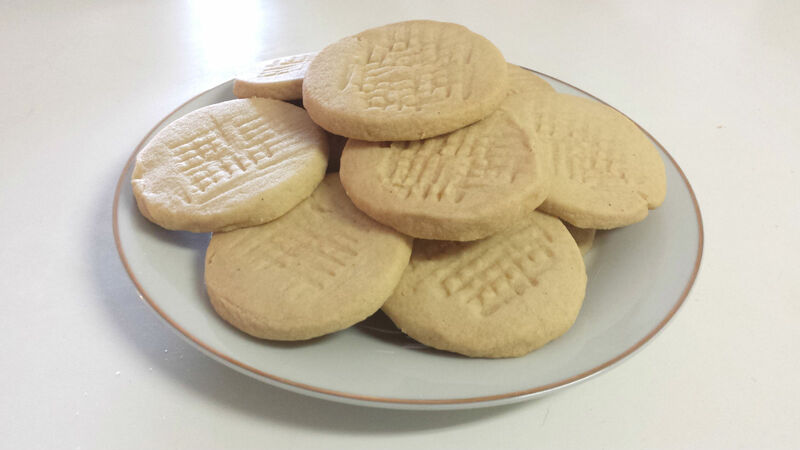 This entry was posted in Food and tagged baking, cookie, easy, quick, shortbread. Bookmark the permalink.